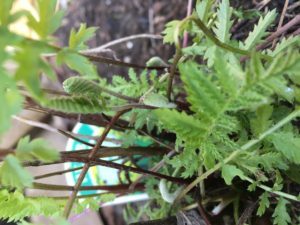 Want to grow your own dye? Now is a good time to start–for those of us in the northern hemisphere at least. There are many dye plants you can grow easily and fairly cheaply. All you need is dirt, seeds, water and a bit of sunshine. And slug pellets, if you live in a damp climate. This list is not exhaustive. There are lots of dye plants out there you can forage and don’t really need to grow yourself. Check out A Weaver’s Garden by Rita Buchanan for more ideas and some good tips on how to grow. If you’re after more info on natural dyes generally try these books. Where can I buy the seeds? I like to start my seeds inside, because it can be tough to get seeds to germinate outside. That’s mainly because it’s too cold. I have a heated propagator I set up with a grow light. This set up makes for quick germination. A sunny windowsill works well too. If you think your seeds might need more heat to get going you can always put a little cloche over them. 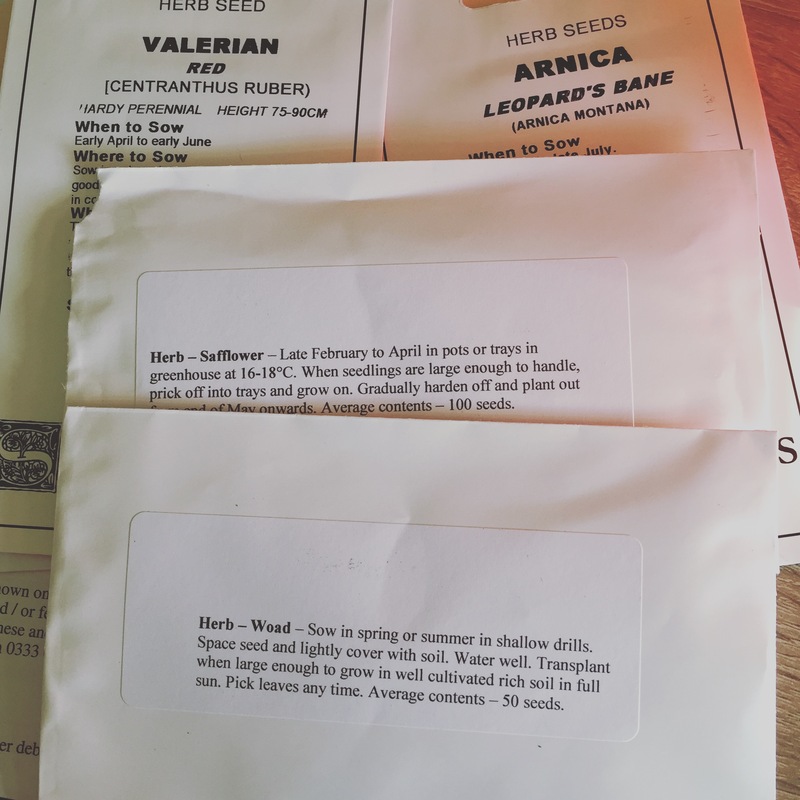 New to growing from seed? Get small pots or trays and fill with compost formulated for seed germination. It usually has a lighter texture (for dirt anyway) that will allow good drainage. Damp down the compost then sow your seeds. Cover with more compost or vermiculite. Tamp down and water a little more if you need it. Don’t overdo it. Be patient. Some seeds will germinate quickly. Others take awhile. Don’t give up! Once your seedlings are big enough, prick them out and put them in bigger pots. When they are big enough and it’s warm enough plant outside in pots or in your borders. 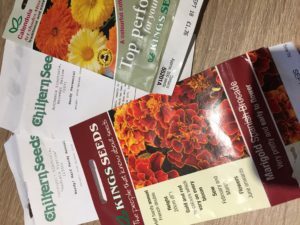 Here’s a good guide to growing from seed from the Royal Horticultural Society. If all goes to plan your dye plants will flourish and provide enough dye stuff to start dyeing. The Wildcolours website has good instructions for using flowers and madder. Check out the The Woad Centre for info on how to use fresh woad. There are also instructions in A Dyer’s Manual by Jill Goodwin. Of course there was Sal’s excellent post on dyeing with fresh indigo. 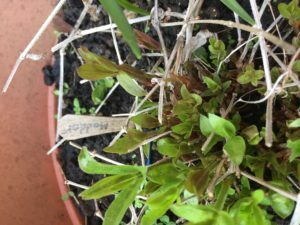 Top tip: if the Latin plant name ends in tinctoria, it’s a dye plant, i.e., lots of dyestuff per plant material. This is also the time to transplant anything that you may have overwintered— I put an Osage orange from a 1 gal bucket in the ground a couple of weeks ago, and it looks pretty happy! 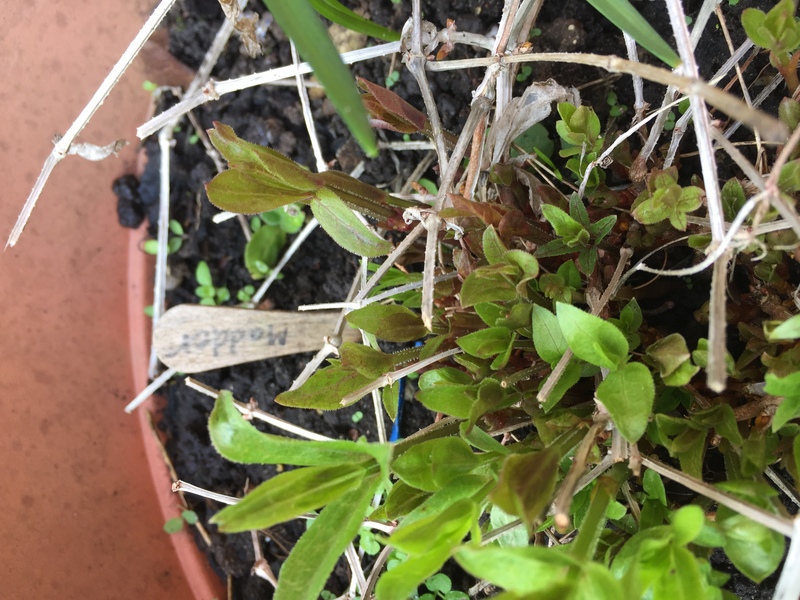 Tinctoria–that is a top tip. You can search seed catalogs online and see what comes up. It’s a good way to see what’s available. I’d love a photo of the Osage Orange.